Supported by the Corra Foundation, 'Age & Stage' Project engages elderly people and their carers who experience loneliness and isolation. Active Inquiry, who specialise in producing devised plays, deliver drama workshops and guide project participants in telling and sharing their stories. As part of the Just Festival programme, we jointly presented the production of 'Happy Birthday?' reflecting on mental health services provision for the elderly. 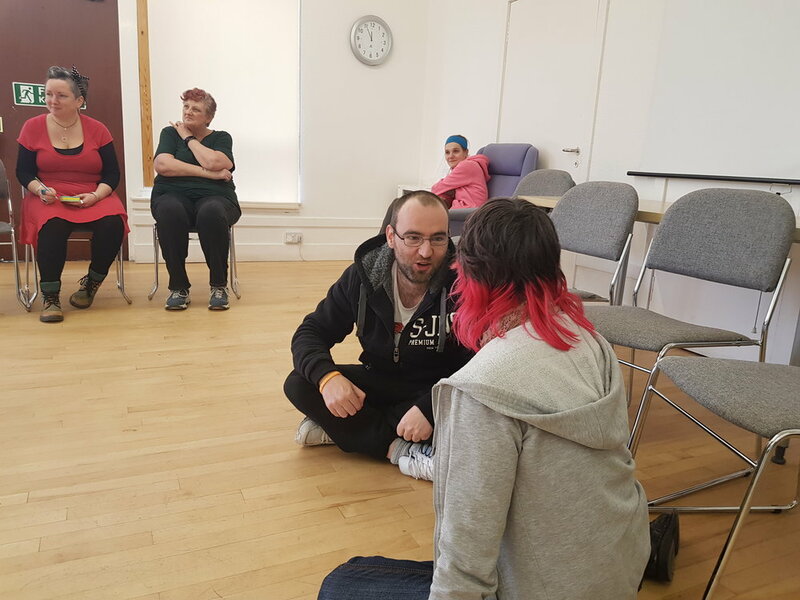 We hosted forum theatre drama workshops at the Thistle Foundation’s Centre of Wellbeing in Craigmillar (13 Queen's Walk, Edinburgh EH16 4EA) and worked with the local community members to share their stories. We worked with a wonderful group of local community members who themselves have experienced isolation, ill mental health, prejudice and loneliness due to old age, systemic obstacles or life circumstances. Our participants would share their personal stories that have informed the development of the play characters and the story-lines. Lorraine said that working on scenes exploring poor mental health she had more understanding and compassion for people who are directly affected by it. She also found the forum theatre’s improvisation aspect easier for her as she did not need to learn a script word by word to present stories; it made her less stressed and less dependent on her memory. Rose told us her stories of body shaming experienced by her and her friends at clothing shops. Peter in developing his character shared the stories of loneliness and loss of the community spirit in the area affected by community services and community activities funding being reduced or discontinued. Frank would openly speak about his interest in drama; as a result of attending the ‘Age and Stage’ workshops Frank has joined other drama projects delivered by Active Inquiry. Some participants found certain subject areas such as adoption or domestic abuse difficult to address; nonetheless they appreciated the fact their concerns were listened to and such subjects were not included in the devised play to decrease distress. 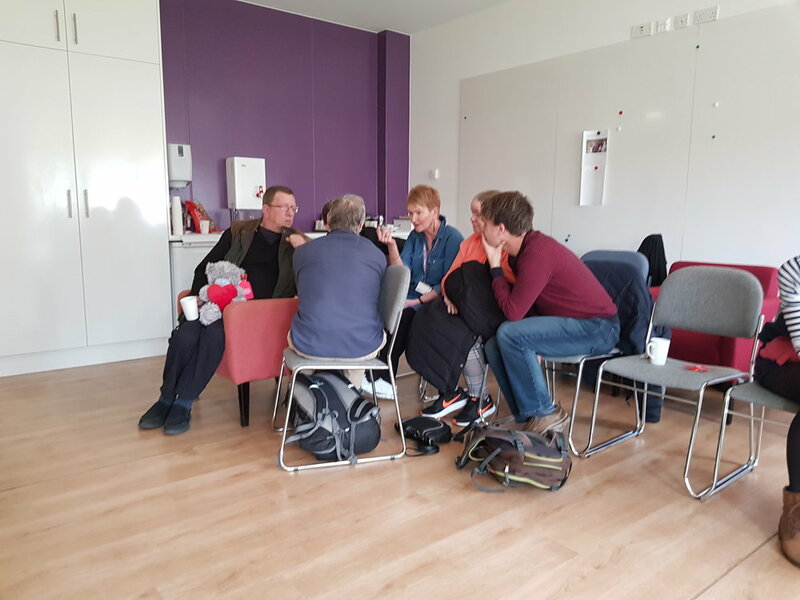 We learnt a lot about the local community and as a result of discussions surrounding the history of Craigmillar with our participants, the group bonded better and opened up to stories from their community members. Memories surrounding the miners’ strike in the area were discussed as well; some of the participants were directly affected by the events and still found it disturbing. The recent developments, lack of consultations in the area, and limited access to basic services like post once and banking were mentioned as the main changes that have resulted in the indigenous community’s sense of disconnectedness and disenfranchisement. We found the area to be a rich source of stories. 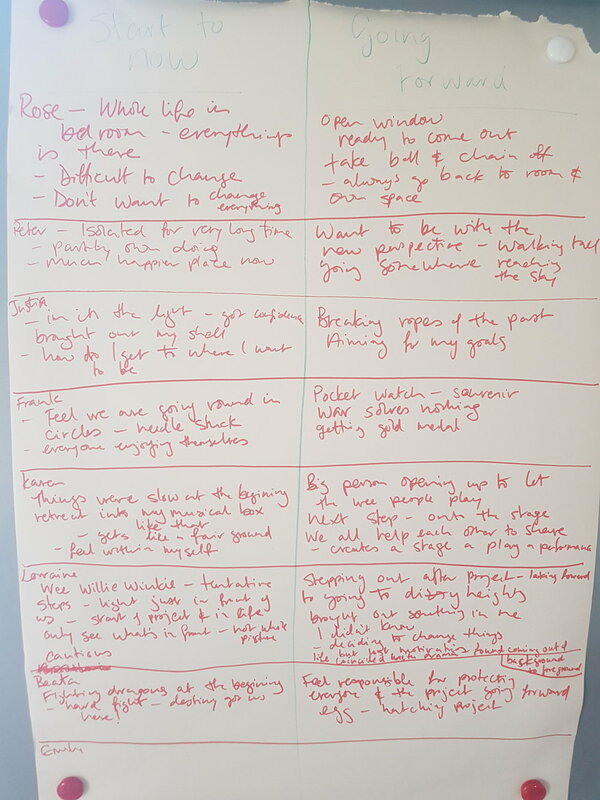 Following the workshops in February and March 2019 and a work-in-progress performance held on 26/03/2019 at the Thistle Foundation, we are convinced our work has both made an impact at the individual participants and brought to life stories and experienced shared by people affected by loneliness, isolation and poor mental health. The audience gathered at the performance found it ‘relatable’, ‘sincere’ and ‘diverse in issues addressed’. They found the three scenes we presented needing further exploration and sharing with greater public. The positive feedback received by our project participants made them feel appreciated and valued as well as their stories relevant and needing to be heard. This has been a great learning and experience for all parties concerned. Not only did the community members gain an opportunity to voice their issues and share stories with one another and audiences, but also all partner organisations have developed new skills and increased understanding of the local issues and better connected with the local community. Delivered in partnership with Active Inquiry. Supported by the Corra Foundation..